SAP HANA 2.0 Express Edition download includes SAP HANA Database Client software used to connect to SAP HANA applications and SAP HANA database from a client computer. 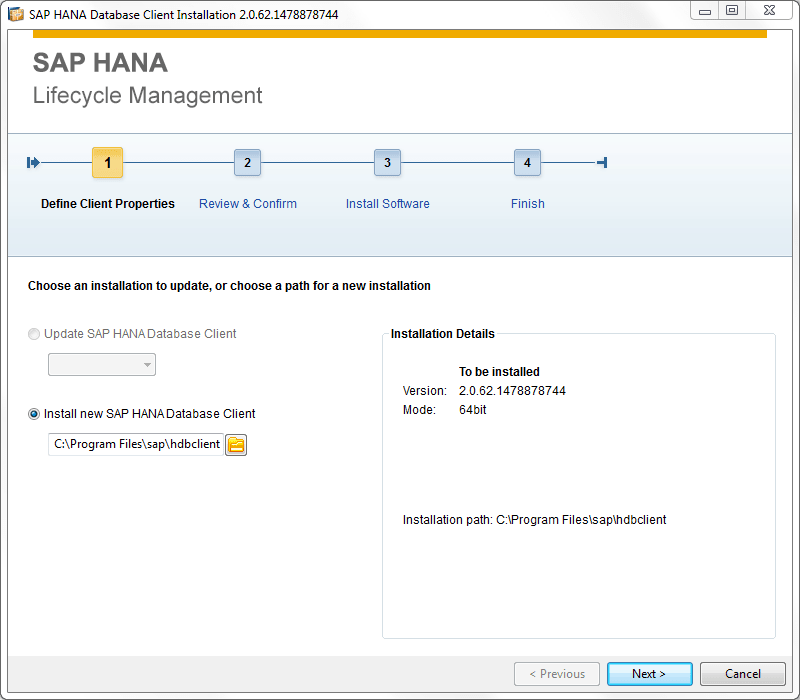 This tutorial shows how to intall SAP HANA Database Client tools step by step. 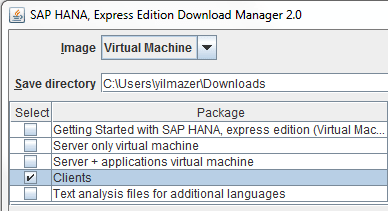 SAP HANA 2.0 Express Edition downloads includes Clients which contains 4 compressed client packages. These four client packages are used to access developed SAP HANA Express Edition applications and database from a client computer. In our next SAP HANA Express Edition tutorials, I'll try to connect to HANA database from Microsoft .NET application. When you register for SAP Hana Express Edition download, the download manager HXEDownloadManager_win.exe is started for downloading required tools. You can run the download manager on clients that require to connect SAP HANA server or once download the clients.zip and distribute to client computers. The clients.zip is the source of SAP HANA Database Client setup program. You can extract all components or only the hdb_client_windows.zip component. 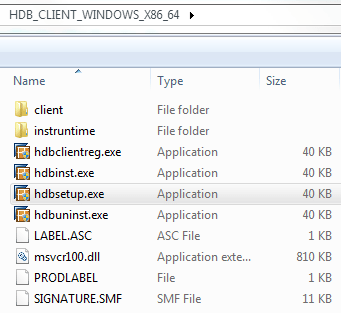 When we extract hdb_client_windows.zip, it will create a folder named "HDB_CLIENT_WINDOWS_X86_64"
When SAP HANA Database Client installation wizard is launched the first step enables you to define the setup folder. Also you can see the version details on the right pane of the setup GUI. 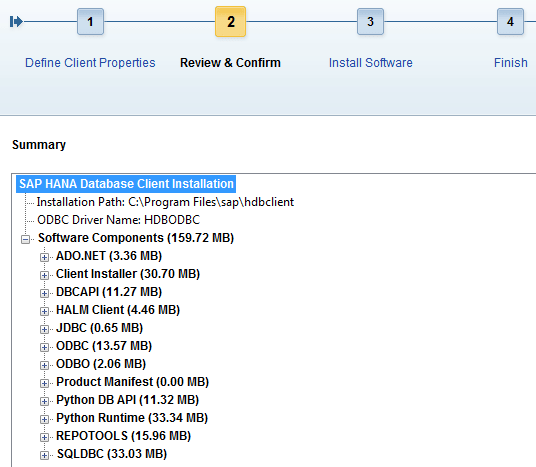 If you were installing an additional client with a different version, the Update SAP HANA Database Client option would be active. The next step enables you to see the software components being installed soon. In fact, I'm only interested with ASO.NET and ODBC components to provide connectivity to SAP HANA databases. The following steps will complete the setup automatically. When you create a .NET project, you will add references to the project from this installation folder of the client tools and libraries.